1. 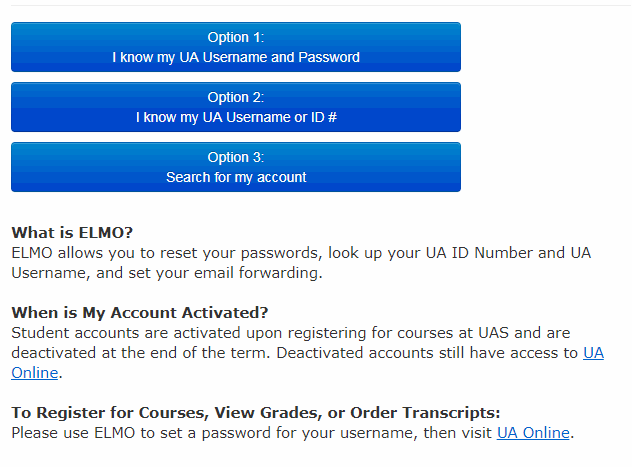 Sign into ELMO using option 1. 2. 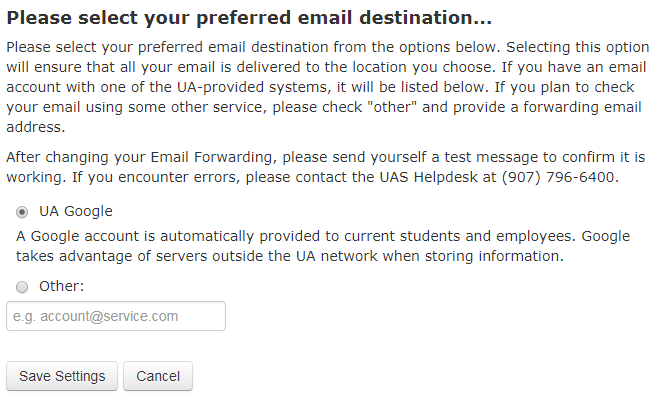 Click on the Email destination change link (see images below). 3. Select the option you would prefer your mail forward to (see images below). 4. Click on Save Settings. 5. 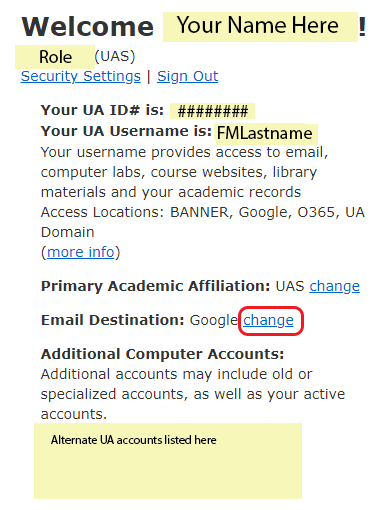 If you no longer wish to forward E-mails, change the Email Destination back to UA Google. Please note: as of November 2018, all emails sent to your UA account will be archived in your inbox, as well as forwarding to your preferred email address.